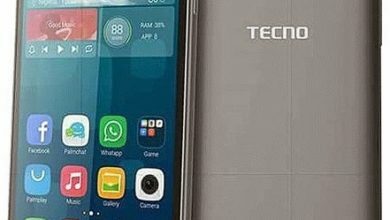 TECNO CX which us short for TECNO CAMON CX is the latest 2017 top smartphone that was unveiled by TECNO which can also be referred as the CAMON 10 the predecessor of CAMON 9. On the body, the phone looks clean with a bigger screen size running on Android 7.0 Nougat. 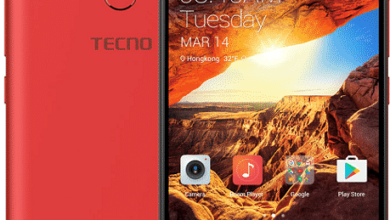 TECNO CX Specs, Review And Key Features. On the design, the TECNO CX comes with a striking sleek body that was built with a metallic material parading smooth rounded edges. On the back, it has a camera with an LED flash and then a fingerprint scanner on the centre. Moving to the front, you will find another sharp camera for a selfie and then a dual LED flash with a speaker at the top. The display is 5.5 inches with a 1080 x 1920 pixels resolution. This puts it at the same size and pixel density as its predecessor. 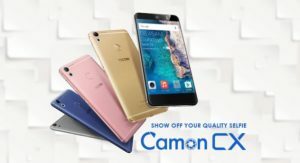 On the back, the CAMON CX has a sharp camera of 16MP with a quad-LED Ring flash and it also shoots high video recording. For selfie, it offers another amazing snapper of 16MP which comes with a dual LED flash for night shots. The internal memory on the phone is 16GB and it’s expandable up to 128GB with the help of a micro SD card. 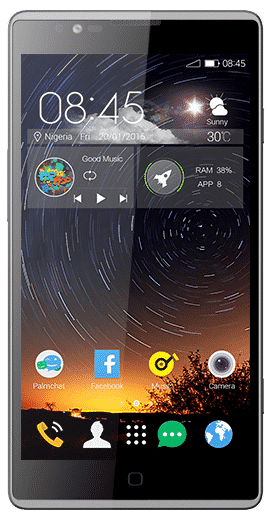 The TECNO CX has a 1.5GHz octa-core Mediatek chipset with a 2GB of RAM running at an Android 7.0 (Nougat) operating system. 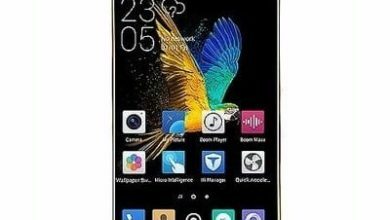 It has a fingerprint scanner for unlocking the screen and for connectivity, it supports 4G LTE on all LTE networks in Nigeria including Glo, MTN, NTel, Etisalat, Smile, and InterC. 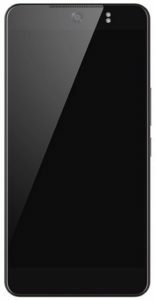 The TECNO CAMON CX is available and the phone is selling at a price of $145.